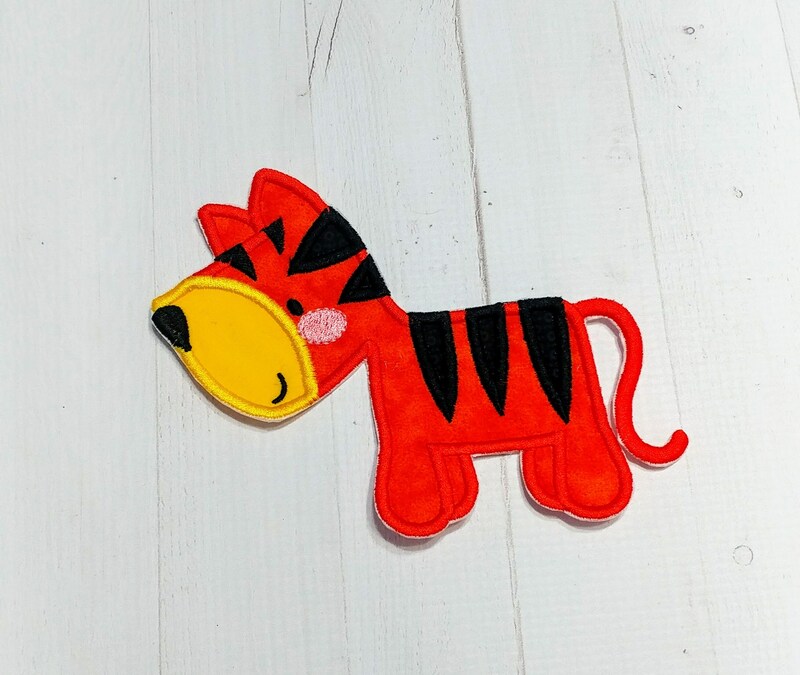 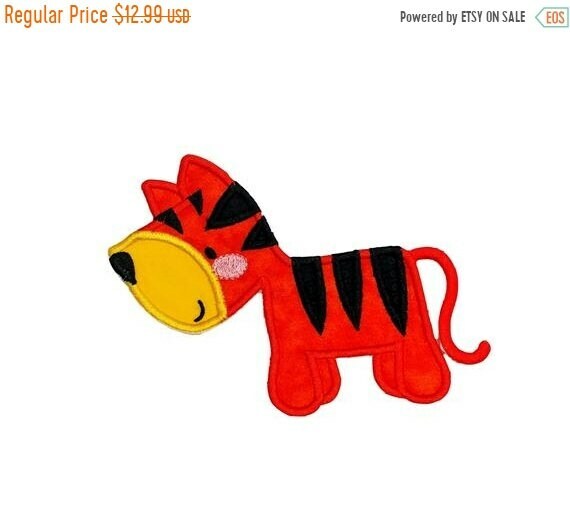 Boxy zoo animal boxy tiger iron on patch. 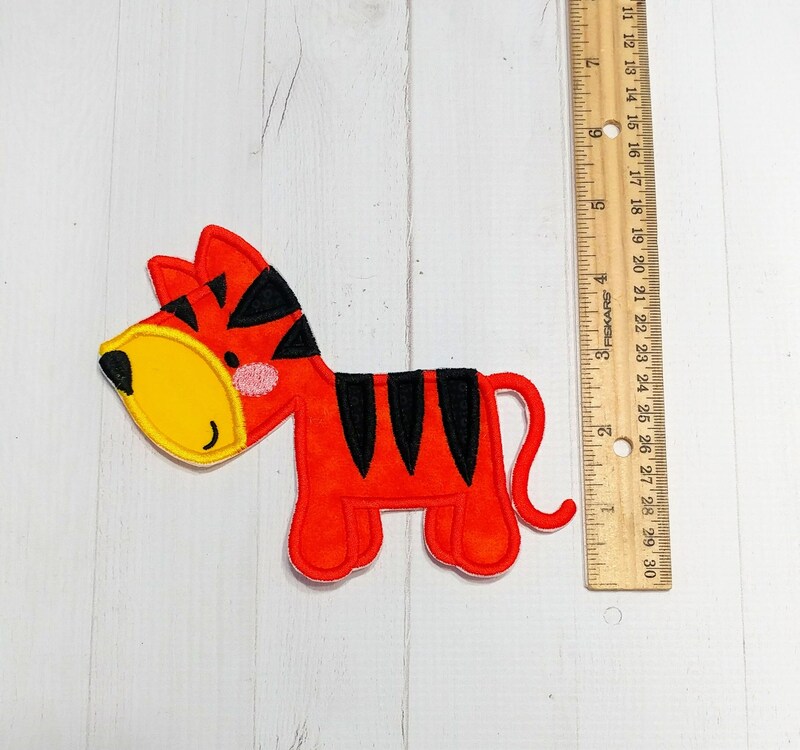 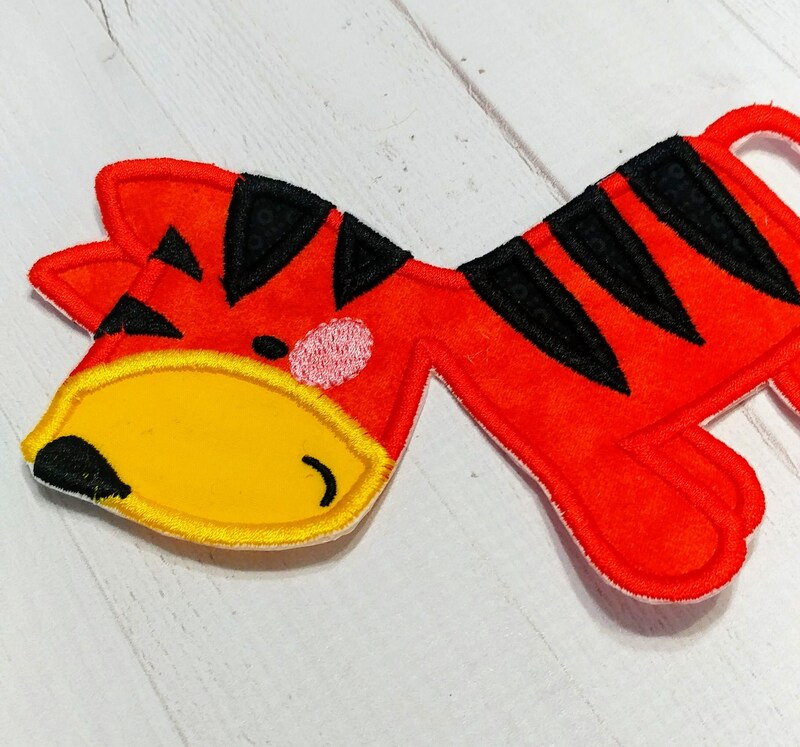 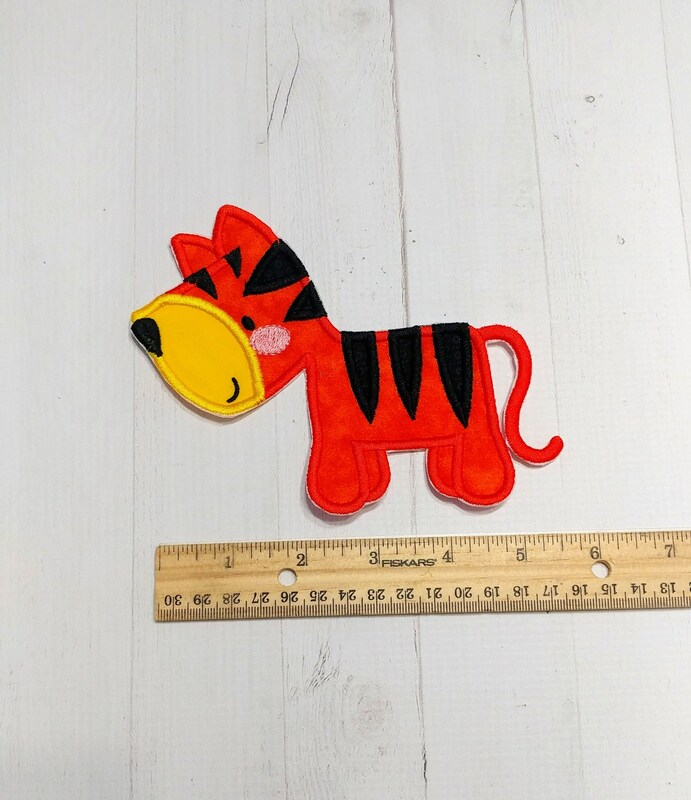 This cute tiger is done with a bright orange, solid black and canary yellow fabric. 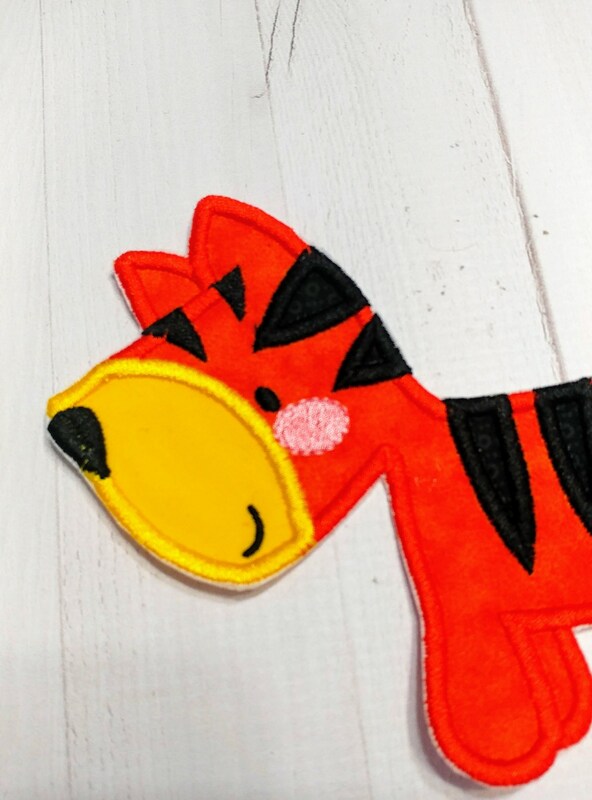 All other details are embroidered directly to the patch.